Gertrude DOXEY nee LONGDEN 1890. 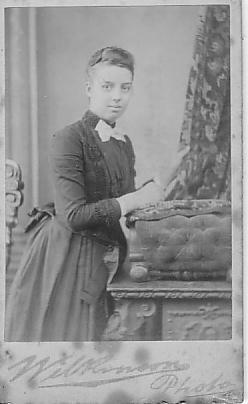 Gertrude Longden of Sheffield at the age of 18. At 21 she married Alfred Doxey of Matlock at Ecclesall. She was the author's grandmother. Compiled, formatted, hyperlinked, encoded, and copyright © 2001, . All Rights Reserved.